Minneapolis-based Target Corporation announces the locations of the first 105 stores it will open in Canada when it formally takes over from Zellers early in 2013. Minneapolis-based Target Corporation announced Thursday the locations of the first 105 stores it will open in Canada when it formally takes over from Zellers early in 2013. The locations include 45 in Ontario, 19 in Quebec ,15 in British Columbia, 13 in Alberta, five in Manitoba, two each in Saskatchewan, Nova Scotia and Newfoundland and Labrador and one each in New Brunswick and PEI. 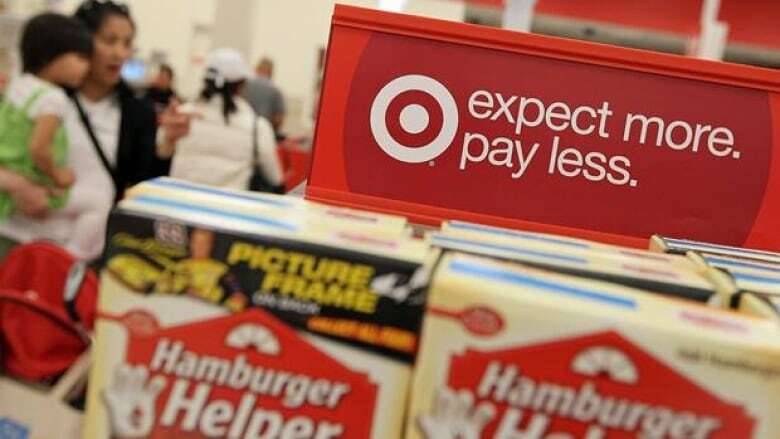 "This is just the first wave," Target Canada president Tony Fisher told journalists at a presentation in Chicago, saying a second wave of store sites will be announced in September. Target's offerings in Canada will likely be familiar to what cross-border shoppers already know, Jim Danahy, CEO of management consultants customerlab.com told CBC News. "I think you should expect to see all of their core brands and then you will see some local Canadian add-ons," Danahy said. Target said it will pay Zellers owner Richard Baker half the $1.82-billion purchase price for leasehold rights in the next few days. The company announced in January it would as many as 220 leaseholds from Zellers. Danahy said it will be interesting to watch other U.S. retailers take aim at Canada in the coming years and how Canadian firms respond. "Will the Bay's reinvestment in store upgrades over the next couple of years, which they announced on Monday, be done to ensure that they have the nice shiny new stores two years from now when shiny new Target doors are opening," he asked. "Will JCPenney have made a move? Will Macy's have made a move, in some cases picking up the stores that Target didn't take from Zellers, and in other cases opening new locations?" Target also announced it will open its Canadian headquarters in Mississauga, Ont., this summer.